14 years of IEEE volunteering, in almost all areas in the organization, both technical and geographical, publications and conferences. Being a tenured Associate Professor, I can devote the time required for the position. I also have ample experience in research and technology transfer to the industrial sector, which provide me with a wide view of the technological world. Strong commitment to volunteering, to make technology advance to improve peoples lives. I firmly believe that advancing technology will benefit humanity. Thank you for visiting this website about my candidacy for IEEE Region 8 Director-Elect in 2019-2020 and Director in 2021-2022. I feel that my experience in IEEE volunteering qualifies me for this important position and I would like to share with you some information about me and my plans if elected. My idea is to foster both the technical and geographical communities inside the Region. Please continue reading to know more about my experience and qualifications, my position on IEEE and the Region, and my views on the organization and its members. Feel free to contact me to discuss these and other issues. necessarily the opinions of the IEEE. IEEE is built by its members and its volunteers to serve the profession and the society, and they should be our primary focus. Below I’m presenting some of my opinions on different aspects of how IEEE works and should work. Be sure to also read the details. Technology is our profession and our passion and the reason we are here. Support more technical activities, don’t lose the focus on the roots of IEEE. Ensure that everyone that wishes to devote time and passion to IEEE is welcome and has the tools to do so. Use the cultural and geographical diversity of the Region as a strength while uniting members in what we all have in common. Promote equal participation of women and other underrepresented groups. These days there are many ways for people to network and connect, we should provide the members the professional and technical connections they really need in their careers. Provide the tools for volunteers to apply technology in underserved communities. Cooperate with other professional and technical organizations to achieve common goals. Be more relevant to industry, promote the creation of standards useful in Africa, Middle East and Europe. Support the activities of Sections and Chapters at the local level, but also of Societies where technical activities happen. 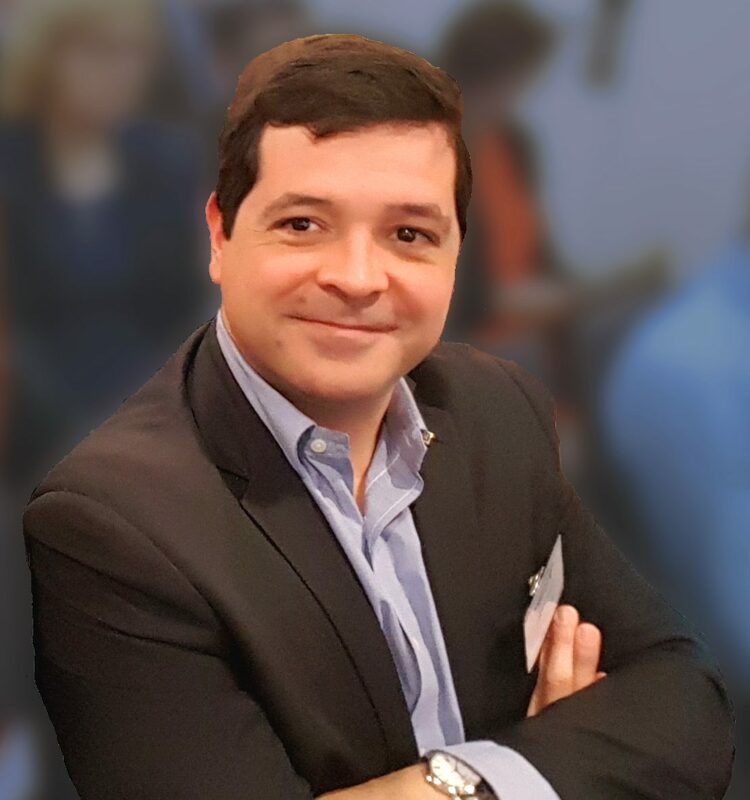 Antonio Luque (M’03, SM’08) was born in 1976. He received the M.Sc. and Ph.D. degrees in electrical engineering from the University of Seville, Seville, Spain, in 2000 and 2005, respectively. He currently holds the position of Associate Professor in the Department of Electronics Engineering, University of Seville. He has authored 20 journal papers, 40 conference papers, 3 book chapters, and a text book, in addition to supervising two PhD students. He has been invited researcher and teacher at the Swiss Federal Institute of Technology Lausanne (Switzerland), Auburn University (AL,USA), Delft University of Technology (Netherlands), Jade University (Germany), Harbin Institute of Technology (China) and Tech Institute of Monterrey (Mexico). He was a recipient of the Burgen Scholarship from the Academia Europaea in 2007. I have experience at almost all IEEE levels and areas. See an excerpt below or read my full IEEE experience. Region 8 Vice Chair for Member Activities. Membership Development Chair. Member of Electron Devices Society, Education Society and Industrial Electronics Society. Society Vice President for Workshop Activities. Web & Information Chair. Member of Publications Commitee. Society AdCom member-at-large. Technical Committee founder and chair. Member, Chair and Past Chair of the MGA Membership Recruitment and Recovery Committee. Member of the Marketing Automation committee. Member of the IT Coordination and Oversight committee. Associate Editor of the IEEE Journal of Microelectromechanical Systems and the IEEE Transactions on Industrial Electronics, Member of the Editorial Board of one IEEE magazine. Guest Editor in several Special Sections. General Chair of three international conferences. Technical Program Chair of four. Track Chair, TPC member, Special Session organizer in more than 20 conferences. Many members and volunteers ask about my opinion on different matters. Here I tried to reply to the most common ones. Elections finished on October 1st. Unofficial results will be announced on October 5th. I believe I have the leadership experience, can afford the dedication and have ideas about the future of the Region and of IEEE. These three things together can help making IEEE the organization we want. WHAT ARE THE MOST IMPORTANT PROBLEMS IN REGION 8 AND IEEE? With the new ways of networking and accessing technical information, IEEE is at risk of becoming obsolete. We need to show that an organization like ours is relevant for the professional and technical commmunities. For Region 8, we need to ensure that growing areas like Africa and Middle East and consolidated ones like Europe get the same benefits and attention as other parts of the world. Yes, I am. And now there’s little I can do about it Anyway, my opinion is that we belong to a transnational technical organization and that technical and professionals qualifications should be what define people inside IEEE.